Raising a child with special needs can be extremely demanding for couples. Issues such as the struggle to find the money for the therapeutic, educational or medical interventions your child may need, along with the difficulty in watching a child fail to thrive in the same manner as their peers, can make having a successful marriage even more of a challenge than it is under normal conditions. It is for these and other reasons that the divorce rate among parents of special needs children tends to be higher than among parents overall. Not only is marriage more challenging, but a divorce between parents of special needs children brings its own set of unique considerations and difficulties. Below, learn about special considerations when divorcing as the parent of a child with special needs. All children tend to function best when their lives are structured by a predictable routine. Many special needs children, however, require little to no variation in their surroundings or schedule in order to function. While many divorced parents shuttle their children back and forth between parents’ houses, a night in a different home for a special needs child could be extremely stressful. Divorcing parents might wish to consider allowing their child to remain in the same home while they rotate in and out, or simply arrange for one parent to visit the child in their home, if a rotating custodian would likewise cause too great of strain for the child. Parents of special needs children often stay in close proximity to one another to facilitate easy transitions for the child to the other parent’s house, or to allow the non-residential parent to assist the parent with primary custody with their child when needed. Special needs children require education and care costs far beyond those of an average child. If you wish to seek physical custody of your child, determine alongside your accountant or attorney what funds you would require to ensure that your child has the care they need. While New Jersey has highly detailed guidelines which determine the amount of child support payments in most instances, it is likely that you will need to request a deviation from those guidelines. Be sure to consider future costs of schooling and therapy as your child ages, as well as future medical procedures they will require. If you are the paying spouse, ensure that the amount of any available government benefits are included in a support payment calculation. Additionally, consider what will happen when your child reaches adulthood. Will they continue to live with a parent? Will they live independently with the support of you and your former spouse? You may wish to set aside funds or create a savings account at the time of your divorce that will help defray long-term costs of care for your child as they age. 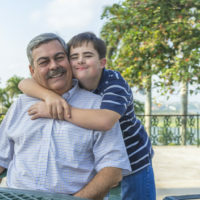 If you are facing divorce and are the parent of a special needs child, or if you need experienced and compassionate legal assistance with a custodial dispute or premarital agreement, contact the Union family law attorney John B. D’Alessandro for assistance with your case, at 908-964-0102.